It is our distinct pleasure and privilege to provide world-class physical therapy and training services throughout the Honesdale area, Wayne County and beyond. Our passion is helping people like you to live life their way, in comfort and confidence…to do more of what they live for! Matters of trust, value, and excellence are important to us, as is your safety, success and satisfaction. We would love to have you call to schedule an appointment at our Honesdale clinic, or to simply get your questions answered. P.S. You are always welcome to stop by to ask a question, learn about your options, ask for help, or simply say “Hi”. "I came to Joe early in my senior season of cross country with an injury. With a personalized exercise and stretching program, I was able to run pain free and had the most successful running season of my high school career." 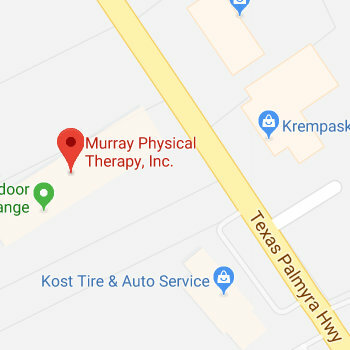 "I have known Joe Murray for the past fourteen years as a friend and fellow parent, businessman and physical therapist. Whether it is entrusting him with my children, helping on a project on our farm, or healing injuries incurred from landscaping, Joe has always been there and always will. He is not only kind and gentle, but extremely knowledgeable, patient, and trustworthy. If you’re unlucky enough to need physical therapy, you’ll be lucky to have Joe heal you."